COMPANY PROFILE Royal Dutch Shell PLC is an integrated oil and gas company. The company engages in exploration, production, and refining of oil around the world. It supplies fuel and other chemicals to various industries such as aviation, and marine. 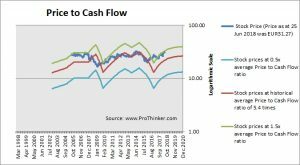 At the price of EUR31.27 as at 25 Jun 2018, Royal Dutch Shell Plc is trading at a Price to Cash Flow Ratio of 7.8 times last 12 months cash flow. 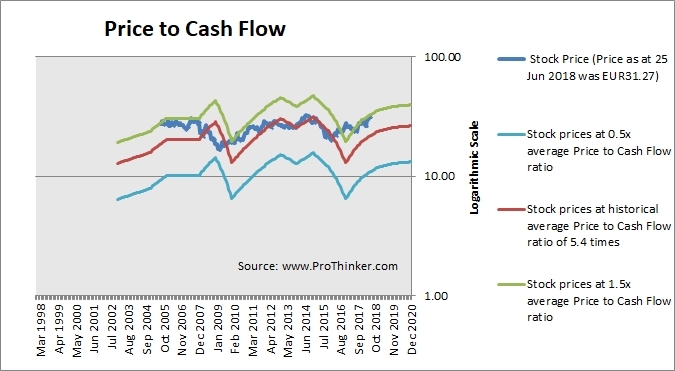 This is a 34.0% premium to its historical average Price to Cash Flow Ratio of 5.9 times.